I get some great questions from clients. They inspire me with article ideas and keep me in tune with diabetic pet owners. I enjoy interacting with our readers, and sometimes the questions are worthy of a newsletter. I bet if one person has this question and takes the time to write me, there are likely lots of folks with a similar question. Today we talk about what food is best for your diabetic pet. Hi, Dr. Sutton. I enjoy all your newsletters about diabetic dogs and cats. I have learned a lot from reading your newsletters. I would like to know if you could recommend a dry/wet dog food for an almost 15 year old diabetic dog. If not a brand, what ingredients should I look for in a dog food for my dog? Thanks for all you do to help us with our diabetic dogs and cats. Thank you for your kind words. I love communicating with clients and helping them with their diabetic pets! There is no “perfect” food for a diabetic pet. There are a few guidelines, nonetheless, that I keep in mind when choosing a pet food for a diabetic pet. 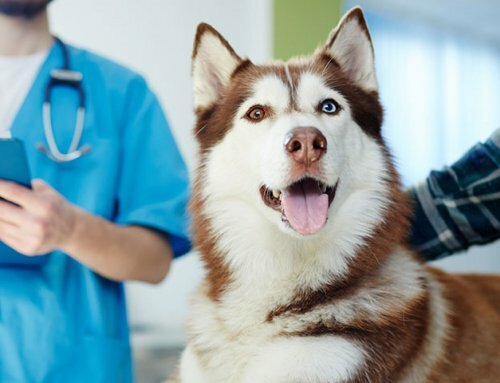 First off, we veterinarians usually advise different diets for diabetic dogs compared to diabetic cats. Obviously you are writing in regards to your dog but I’ll first say that diabetic cats tend to do much better on low carb diets. Dry food (kibble) tends to be much higher in carbohydrate content than canned foods. 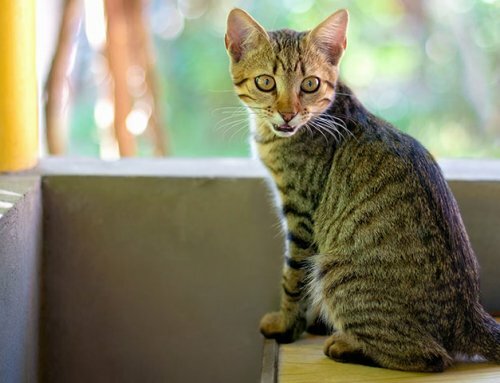 Cats are little carnivores in nature and we veterinarians have found we have better odds of diabetes remission when cats are on a low carb diet compared to a dry kibble diet. We don’t restrict carbohydrates for diabetic dogs, but this is not to say we give free license to give any old carb to dogs! As I mentioned above, diabetic dogs can eat carbohydrates, but we don’t want simple carbohydrates. We want complex carbohydrates! Just as a human diabetic wouldn’t (well, shouldn’t) eat a donut or cake, we want to avoid simple carbohydrates for diabetic dogs. We want complex carbohydrates for diabetic dogs. Our bodies, regardless of species, see white rice or white bread much as it would table sugar. We would opt for whole grains rather than refined carbs. 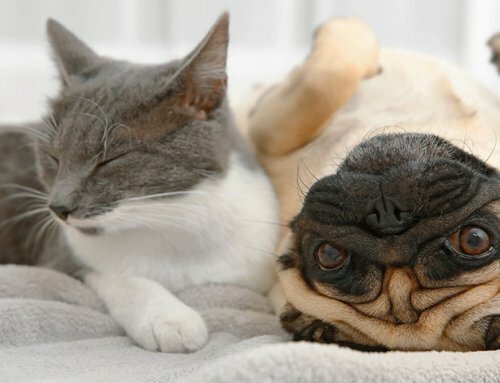 Now, for both diabetic dogs and diabetic cats, we usually want them on a low fat diet. A lot of diabetic pets became diabetic after an episode, or several episodes, of pancreatitis. Sometimes pancreatitis can be subtle and go unnoticed by the pet owner. Sometimes pancreatitis is a horrific death-defying nightmare that strikes fear in even the most seasoned of veterinarians. Sometimes pancreatitis is a single episode. Sometimes it smolders. The pancreas helps break down fat by producing digestive enzymes and squirting these enzymes into the small intestine after a meal. 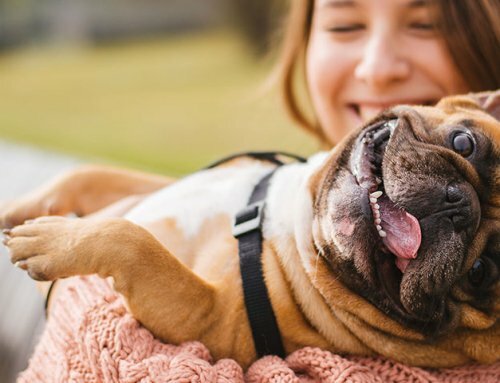 Pudgy pets tend to be more prone to pancreatitis than are thin pets. And pancreatitis most commonly occurs, though not always, after a dietary indiscretion. (i.e. 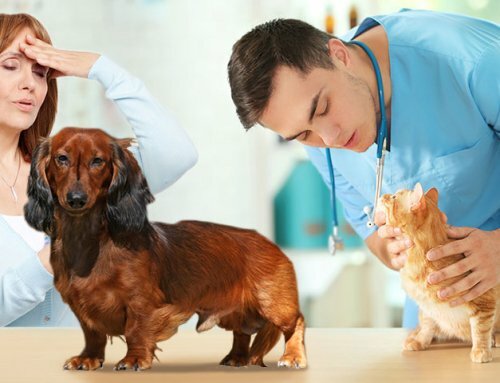 “Doc, my dog ate all the sausages off the picnic table last weekend and now he’s vomiting nonstop.”) So the very fact that a pet is diabetic makes vets wonder if the pet has ever had pancreatitis, and we therefore usually choose a low fat diet. My general guideline for a diabetic pet is fat content less than 10% in the diet. Of course if the pet is really pudgy your vet may advise an even lower content of fat. Next, is there some other disease issue? For example, if a pet has kidney disease we might choose a diet a bit lower in protein than otherwise. Otherwise protein content and protein sources are really no different for diabetic pets than non-diabetic pets. If a pet has a food allergy we might opt for a “hypoallergenic” or limited ingredient diet. Again, we must take into account any other diseases or conditions when contemplating the pet’s food. Finally we get to brands of pet food. Oh boy, do I get asked this one a lot! I am a veterinarian and I really appreciate the companies that do or support veterinary nutrition research. 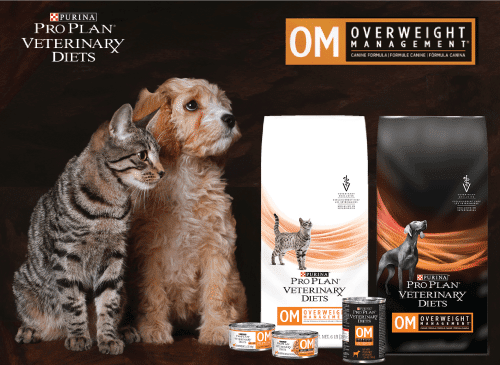 Many of the leading specialty brands do a lot of veterinary nutrition research and I’m most familiar with them because they offer prescription pet foods. Does that mean your pet needs to be on one of these brands? No. Nonetheless, I do feel most comfortable when a pet food recipe is made by a veterinary nutritionist. I appreciate this! I once heard a joke that comes to mind. “What do they call Chinese food in China?” The answer: “Food.” There is such a great variety of food options. There is no perfect food for a diabetic pet. Folks all around the globe can be healthy and eat quite differently from one another. Diabetic pets can eat different diets and still achieve success. Each patient is a touch different or may have different taste preferences. As I mentioned above, diabetic cats usually do better on low carb diets, but even then there are lots of diets/brands from which to choose. There are pet food composition charts for commercially made pet foods on the internet that can help with your decision making too. Canned food tends to stick in the nooks and crannies of a pet’s teeth, so for a diabetic dog, where we don’t restrict the carbs as we do with diabetic cats, I’d stick to primarily dry food if possible. Otherwise be prepared for more dental tartar accumulation as I find with cats on canned food only. Dogs do usually like canned food, so if your pet is finicky it may eat better with canned food added. 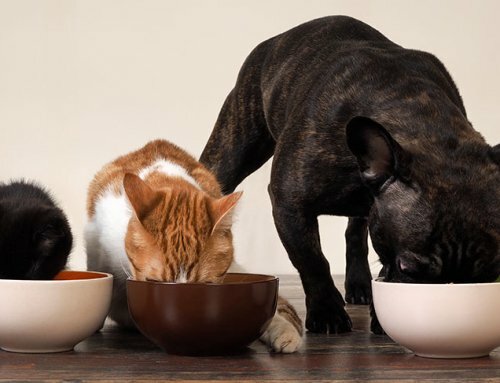 If your finicky pet eats consistently, it may be easier to regulate the diabetes. It’s a lot easier to regulate a diabetic pet when the pet typically wolfs down the food! Again, I prefer a diabetic pet to get half the calories fed twice daily, 12 hours apart, in equally portioned meals, when the insulin is given. Timing of feedings is almost as important as what is fed! Wanted to share my experience with my diabetic cat. When he became diabetic, around 3-4 years ago. We started with 4 units of insulin twice a day. This was way too much for him. After running a curve he was reduced to 2 units once a day. I started researching diabetes in cats and found that cats don’t have the enzyme needed to handle carbohydrates. I started looking for foods, wet and dry, with the least amount of carbohydrates. There is only one provider that shows the carbs. I ended up calling lots of manufacturers to find out the carb count. They ran between 18% and 30% carbs. Not good for a cat. I found that Fancy Feast, always my cats favorites, had a couple kinds with carbs around 10% or a little less. It is Fancy Feast classics and the chunky chicken and turkey. I quit giving them grilled (his favorite) and any other style. I also found a zero carb dry cat food. It is Young Again cat food. It is expensive but the cats don’t eat as much as there are no carbs to keep them hungry. They all lost 2-3 pounds each. (they were chubby from eating Fancy Feast dry food). 2-3 months ago I noticed that my cat didn’t feel well after his dinner and shot. I spoke with the vet and decided to reduce his insulin to 1 unit a day. Still the same. I told the vet I was taking him off insulin because I didn’t think he needed it any more. (I know my cats very well.) He agreed to let him go without the insulin for 2 weeks (keeping a close eye on him) and then do a fructosamine. I took him in yesterday for the blood test. My vet came back into the room with a big smile on his face and said “You were right, his glucose is in the normal range”. We were both thrilled. So you can defeat diabetes in a cat by controlling their diet. Happy (my cat) and I are thrilled. Just thought I would share my experience and hope it will help other kitties. Were you home testing with a glucometer? I’m wondering how you knew that 4 units was too much insulin for your cat? What were his symptoms to make you want to lower it? Just curious. Unfortunately, I’m on the opposite end. I started at 1units and we have been taking him up in 1/4 increments over the past 8 months. He still tests very high when I test his BG at home. My 10 year old dog was diagnosed with diabetes last November. Since then we have been unsuccessfully trying to regulate her. Approximately 2 months ago her BG’s started rising and we found she had a UTI. After 21 days on Baytril it was cleared but had wreaked havoc on any semblance of regulation we had attained. To make matters worse, she decided she didn’t like any of the glycobalanced dry or wet dog foods on the market even if I add boiled chicken (which she loves). We have tried everything and have given her every test possible to rule out tumors or other illness that might be affecting her poor appetite. What I have found is that if I give her the dog food she ate for years and one that my 13 year old dog has been on all of her life (Field and Benchley Holistic dog food from Trader Joes), she will gobble it up but I don’t feel comfortable with that. She does have spondylosis but she is receiving acupuncture and cold laser treatments and adequan shots and seems to be doing fine in that area. Her weight keeps fluctuating and my vet, who is very good and has taken care of hundreds of diabetic dogs, told me to give her the food that she will eat and that weight gain is most important right now. She is on vetsulin and we are contemplating changing to another insulin. My question is: do you know of any basic home made recipes that will give her the good carbs she needs to slow the food conversion to sugar, along with the other necessities she requires in a well rounded diabetic food. Just yesterday, she was diagnosed with another UTI, probably due to the higher than normal BGs. I am very frustrated and desperately need some help….anyone.